We hope you all had a wonderful Christmas, whether you were celebrating from your home base or on the road in the camper. Here in western Pennsylvania we didn’t get the white Christmas we were dreaming of, but we still got to spend plenty of time as a family with lots of our family, and that was pretty awesome. Do you know what else is pretty awesome? How we have watched our Touring Camper family grow this year–and that’s all thanks to you guys. 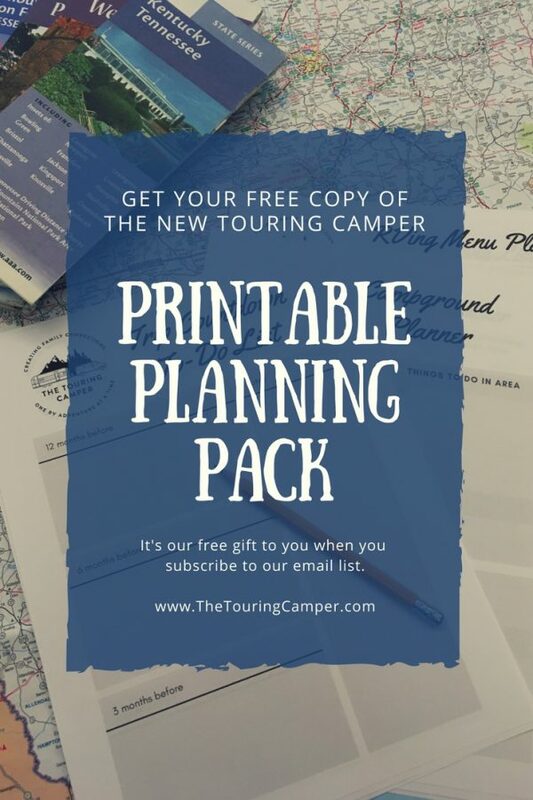 So as a way of saying “thank you” to all you Touring Camper followers, we spruced up our free printable pack that is available for anyone who subscribes to our email list. 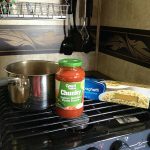 In addition to revamping the graphics on the camping packing checklist, we added a few things to help you get ready for your next RV adventure. The new pack includes a trip countdown to-do sheet, campground planner, menu idea tracker, menu planner, gear planning tracker, touring tracker, and family bucket list planners. If you don’t yet subscribe, it’s easy to do. Just use the form below. We take your privacy seriously and we will never sell, rent, or otherwise distribute the information you submit on our website. 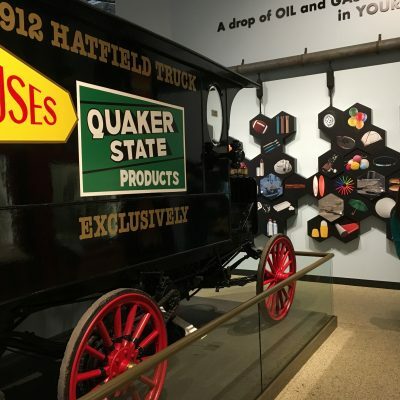 We don’t email every week, but by subscribing you are granting us permission to contact you periodically about Touring Camper news and special opportunities (like giveaways!). Thanks so much for your faithful following! Hi Carolyn, Thank you so much for contacting me. It seems I have a problem with my link and that’s why you didn’t get redirected to the free printable page. I will look into it asap! In the meantime, I am sending you an email with the correct link. Let me know if you don’t get it. And congrats on the new travel trailer! Do you know where you are going on your first trip with it? Would you please send me the link as well? Thanks so much for the information! Hi Donna! Thanks for stopping by and subscribing! I will send you an email with the link. Happy camping! I would like the free check list and meal planner list too. We will be camping this year with our first new trailer. I’m so excited to get camping!! Hi Lisa! Thanks for stopping by and reading. How exciting to be getting ready for the camping season with a new camper! 🙂 Did you sign up for the email list using the blue bar at the top of the page? Once you do that it should prompt you with a link to the printable pack. If you have any problems, though, let me know. Thanks so much! Hi Marlo! Thanks for stopping by and reading TheTouringCamper.com. Regarding the printable pack: Did you sign up for the email list using the blue bar at the top of the page? Once you do that it should prompt you with a link to the printable pack. If you have any problems, though, let me know. Happy camping! Thanks for offering the printables. 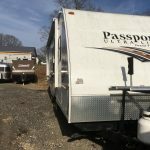 We are longtime campers and 4 years ago we bought a pop-up. Looking into a hybrid will be our next step but not for a while yet. Hi Heidi! Thanks so much for stopping by and reading! All the best to you in your camping travels! Please send a list- Mine are not adequate yet! Sorry about your doggie (. We have a Scamp 16′, with room for 2 adults plus. Thank you, keep cruising. Hi Jim! Thanks so much for stopping by and reading! And thank you for the condolences on our dog. I’ll drop you and email about how to get you set up with those lists. Happy camping! 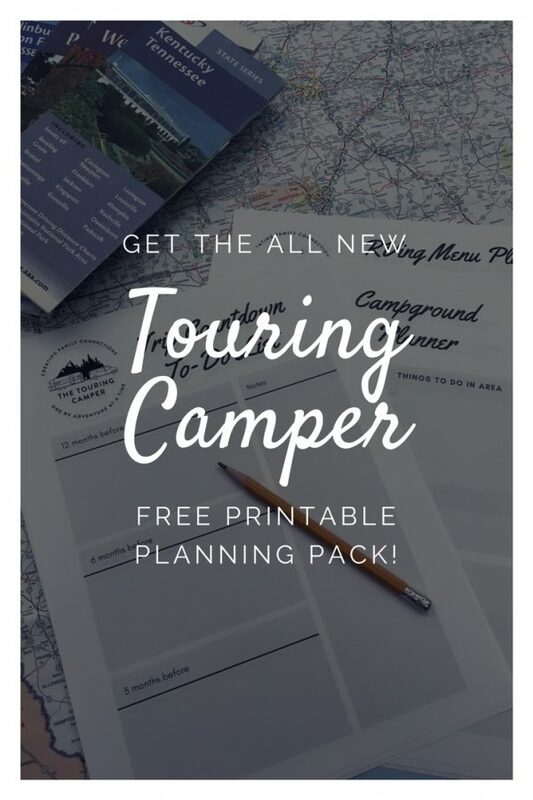 I am an email subscriber but don’t think I got the link for the printable planning pack & camping menu. I would love to have this! I love following your camping adventures! 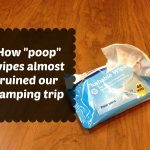 Thank you for sharing your RV life! Hi- Could i get the printable pack? We bought an airstream last summer and we are going to take our first real trip next week! We have done a few two nights camping in semi-close parks but we are excited for our trip. Thanks for any help you can offer! Hi Kristin! I would love to get the printable pack. I subscribed months ago, but have never been able to get the pack. I am not so computer savvy, so I’m not sure what I have been doing wrong. I have enjoyed following your adventures. If you are going to be traveling through Indiana, I would be happy to help you out! Hi! I just subscribed to your newsletter! We just got a camper. I’m not sure how to get checklist. Thank you for publishing this website. What a wealth of information! I did subscribe and I did get the email which I confirmed but did not receive the link to the checklist. This looks like such a valuable tool. If you have time could you send this to me? We are getting ready to rent a RV for the first time and travel form Tijuana to Vancouver! We are excited for our trip and trying the RV lifestyle out. 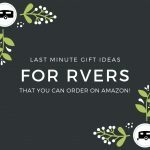 Can you please send the link to the printable planning and packing. BTW you could automate this process and make it available on Google Drive. Thanks for leaving us a note about the printables. Sometimes the emails can land in spam folders, but I don’t see your email recorded in my database yet. After you signed up for the email list, the system won’t officially put you on the mailing list until you have confirmed your subscription via the opt-in email (this email may have ended up in a spam/junk folder). Then after clicking through the opt-in email, it will have a link to the printable pack on the confirmation page. Hope that helps–please let me know if you have any more questions. Happy Camping! Hello, I would love to get the PDF link. I just subscribed because we are headed on a RV trip in a week. Thanks so much! Hi Eliza! Thanks so much for stopping by and subscribing! We appreciate every one of our readers so much! I just sent you an email, so you should be all set. Have a great trip! Hello! Thank you so much for your interest in the printable pack! I will send you an email. Happy camping! please send me the printable pack. 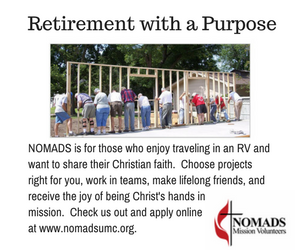 We are planning a caravan of 5 RV’s to Montana in June. Hi Judy! Thanks for stopping by and reading. 🙂 I will send you an email next. Happy camping! Thank you so much for all of your information,….so much great stuff!!! I’d love a printable planning pack. We’re subscribed!! 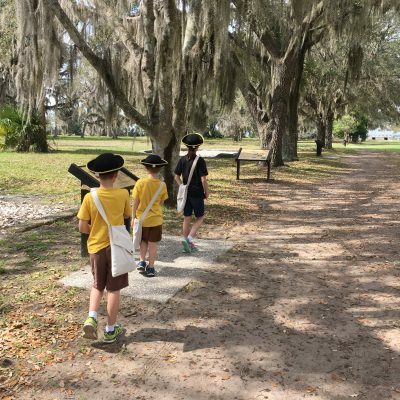 And are heading out on our first long trip in May of this year. Thank you again!! Hello Jeanie! I’m so glad the information is helpful! 🙂 I’m sending you an email now about the printable pack. Happy camping! 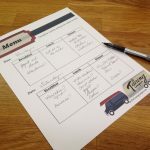 I would love a copy of this printable planning list! I just subscribed. Thank you!